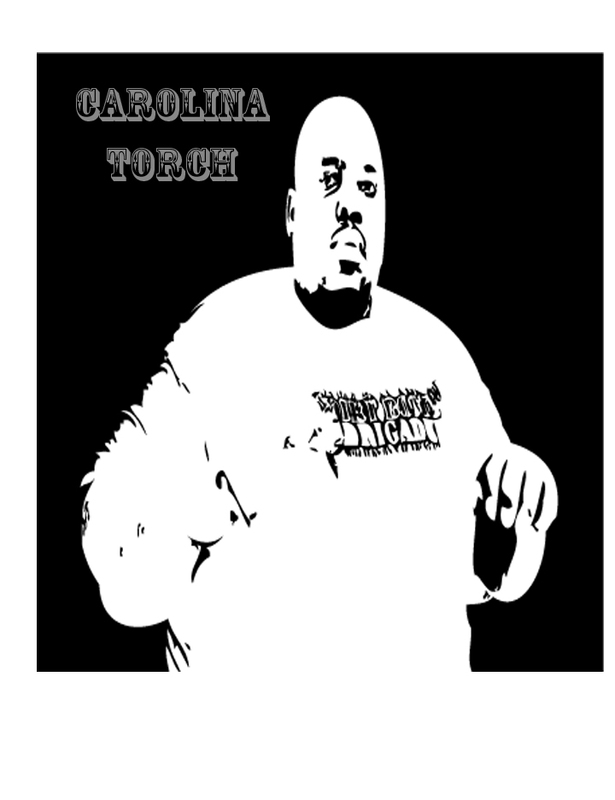 Carolina Torch began his career in Wilmington, NC around age 12, while joking around with his friends and family, a spark ignited within his soul and an emcee was born. With influences like “Biggie” and “Pac” his style transformed, embracing the sheer raw power of his heroes, Torch lit up the local stages and nightclubs. He won some local contests in his area and from there left a trail of accomplishments including several DVD and magazine articles, opening for Rocafella and Young Gunz as well. Torch formed “Most high productions” with his late partner Roncin Sanders (R.I.P.) and released their album General Purpose in 2004. Torch released his spectacular album Nine Dime The Album with his group Most High which also featured artist such as C-Murder and DG Yola in 2010, Torch has been A&R for South East Division of IMG recordings group from 2010-2013. Carolina Torch blazed his newest single Born a King (Straight Outta Africa) in May 2015 which is available on all electronic platforms. Check out his body of work and allow his spit ability to set your hearts and ears aflame with his deep lyrics and hard-hitting beats.